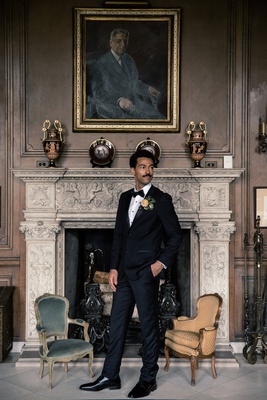 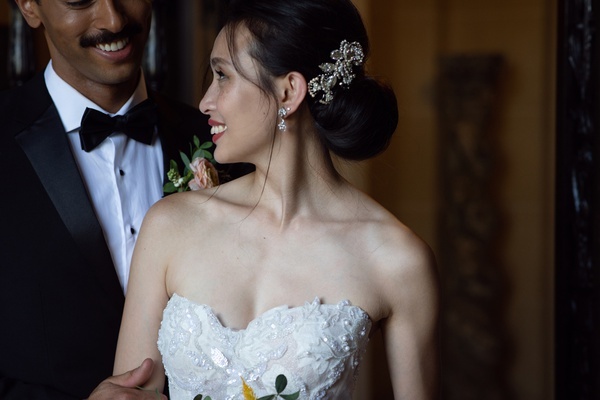 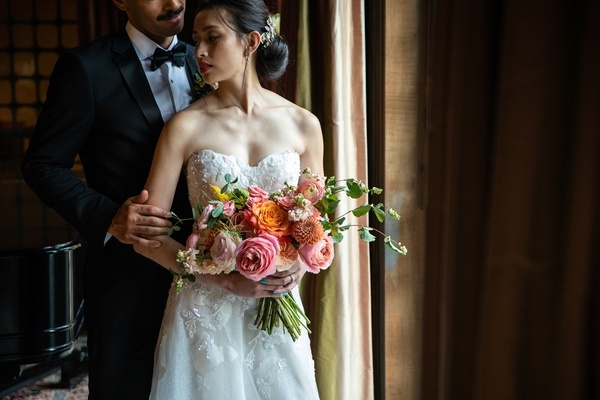 Wanting to convey a modern version of a romantic garden love story, the Chicago-based design team headed to an Italian-inspired mansion on a 100-acre estate to capture a styled shoot. 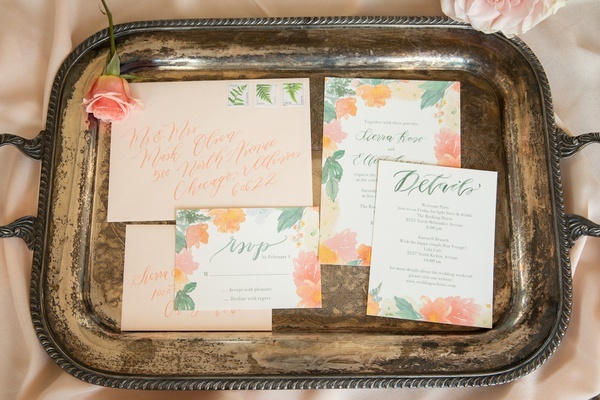 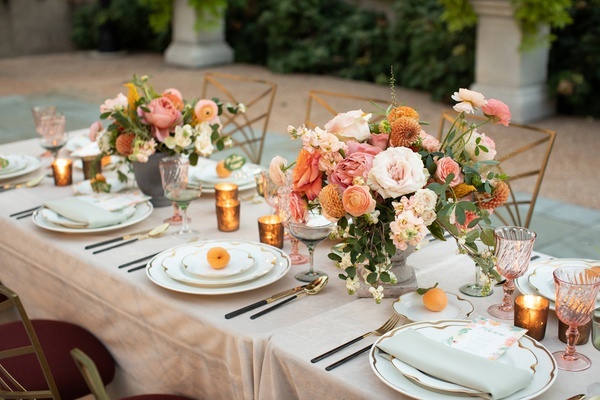 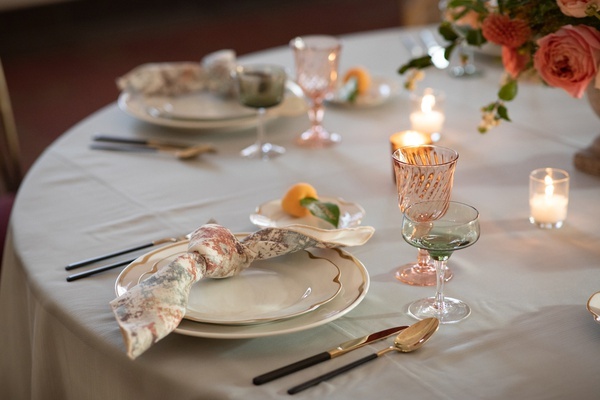 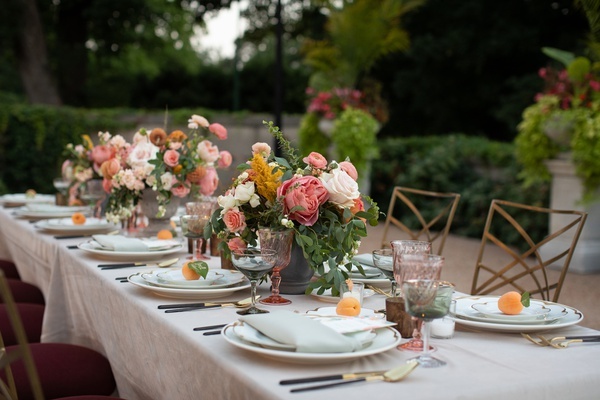 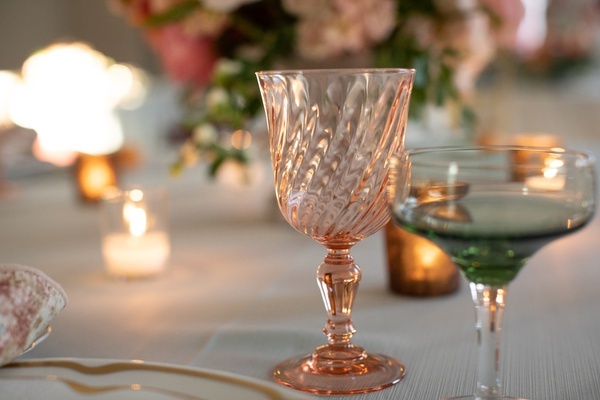 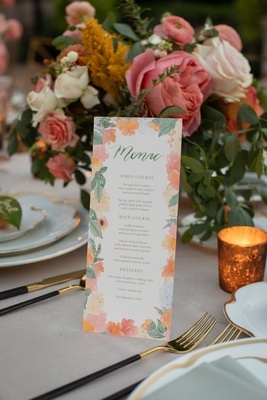 Featuring a unique peach-based color scheme with touches of pinks and oranges, the shoot showcases an event that evokes traditional romance with contemporary features. 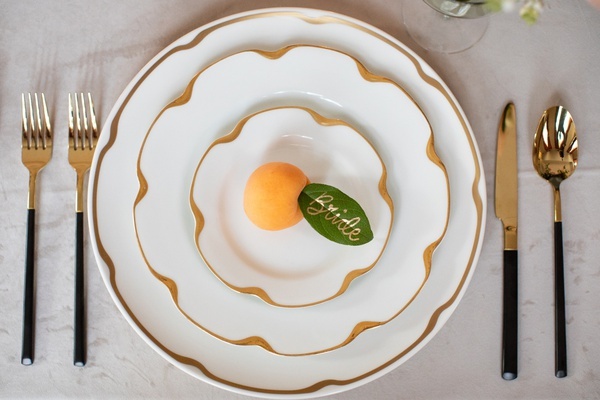 A marble sweetheart table and outdoor dinner table both display fresh apricots paired golden calligraphy on a leaf for place cards. 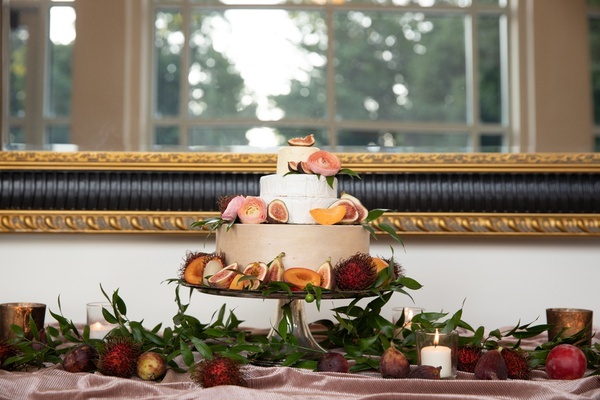 More fruit is seen on the wedding cake, which is not a confection at all, but rather stacked wheels of cheese accented by cut fruit. 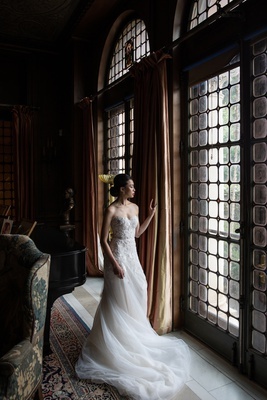 The timeless architecture is complemented by the stunning fashion worn by the model bride and groom. 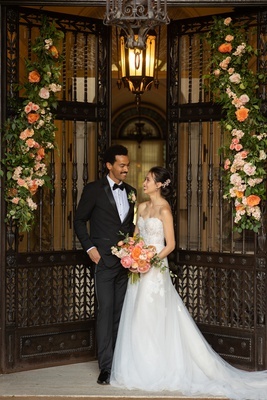 Get ideas of where to add extra décor for a wow factor after viewing photos of a gate covered in blossoms and greenery and concrete steps lined with pillar candles in hurricanes. 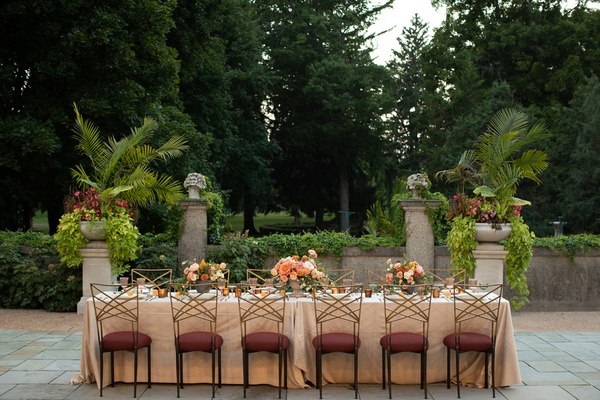 Discover more inspiration in the slideshow above!